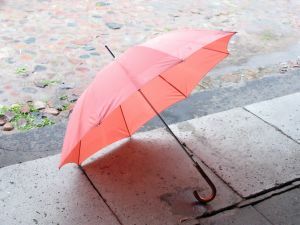 To persons with terrible migraine attack like me, the pouring of the rain can be a blessing. Since Mr. Sun is sleeping and let the rain takeover the skies, I never have to endure migraine-inducing heat. But as the skies darken, the mood sometimes follows. The gloomy surroundings often have that effect on people. But instead of going with the flow, why not do something to make you feel upbeat despite the pouring of the rain for almost a week? Getting out of bed on a cold rainy morning is truly difficult. More often, we extend our sleep for five more minutes and then another five minutes until we realize that we are already running late for work or school. And when in hurry, we often tend to act snappy and feel stressed. Sleeping early is the best way to address this problem. If you are able to get enough sleep, it would be less difficult to wake up in the morning no matter how cold the temperature is. I’m not sure about others but as for me, I always find my appetite increase significantly on a rainy day. I just love to eat and eat and I sometimes find it frustrating if I cannot go out and get what I wanted to eat since it is raining. Stock up non-perishable foods especially the ones you have been craving for. And besides, you will also need those items in your survival kit just in case things get worse. Concrete and even soil can be slippery when wet. Thus for your safety, wear a footwear that is more likely to prevent you from slipping and possible injuries. 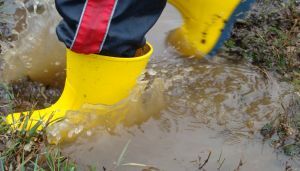 I prefer closed shoes during rainy days to make my feet feel cozy and dry however when the rain is pouring heavily and threatens to flood or there is chances that you will be walking in puddles, better wear rubber slippers, plastic shoes or boots when going out. Don’t make a gloomy day gloomier by wearing neutral colors. Neon colored-blouse, floral printed dress or lipstick in bold colors can change the mood for the better, at least for me. I always feel good when I add or wear something I do not usually wear during regular days. Nonstop rain for hours can cause flashflood especially in low areas or areas with poor drainage system. Get updates from weather forecasts bureaus to ensure your safety. Check Your Cosmetics With Cosdna!